Grandmothers Consortium is an outcome of the Uganda National Grandmothers Gathering that brought over 500 grandmothers together sharing life experiences and learning from each other on pertinent issues. The Consortium is an NGO comprising of six Ugandan grassroots organisations working with grandmothers to create a platform for advocacy and lobbying for their rights. Grandmothers Consortium brings together grandmothers and grandmother support organizations to advocate for the rights of grandmothers. Our mission is to create an environment where grandmothers’ rights and needs are prioritized and integrated in all national programs in Uganda. The need to have a unified voice for advocacy for grandmothers led by grandmothers themselves saw the establishment of Grandmothers Consortium. Our core areas entail promoting collaboration, knowledge sharing and learning and joint resource mobilization. The Strategic direction of the Grandmothers Consortium is described under three strategic objectives. 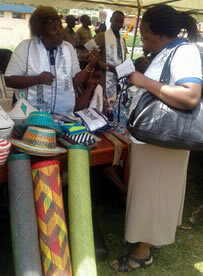 Working through and with grandmothers, undertake advocacy to promote the rights and needs of grandmothers in Uganda. Grandmothers Consortium will use the knowledge and experience of members to undertake research on key themes of concern to grandmothers in order to inform policy advocacy. Increase resources targeting grandmothers’ interventions.